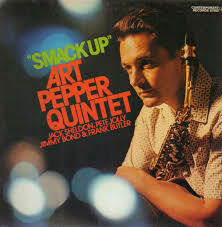 That’s Leonard Feather quoting alto sax player, Art Pepper, in his sleeve notes for ‘Smack Up’, Pepper’s 1960 album for Contemporary/OJC. I first heard the album about 20 years ago. 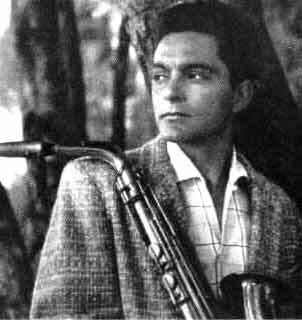 I hadn’t consciously avoided West Coast jazz before then but had somehow gravitated toward the East Coast and Parker, Gillespie and Davis. So this album, and Pepper’s swing, his time, was something new. Not long after recording the album, Pepper was imprisoned for 3 years for heroin possession. So it’s not too much of a stretch to see why the Harold Land composition was selected as the opening and title track. Pepper was an addict for long periods of his adult life but contemporary reportage agrees that the majority of his recording and gig dates were straight ahead examples of Pepper’s brilliant musicianship. This album is no exception and is never far from my turntable. The selections on the album are a little unusual in that they are all compositions by saxophonists as differing in style as Benny Carter and Ornette Coleman. There are no standards or show tunes. So the track listing ranges from bop to swing to the soulful 5/4 of Pepper’s own ‘Las Cuevas de Mario’. Throughout, Pepper is decisive and urgent. The music swings and the bop has a cutting edge. When Pepper attacks the changes, you will listen. There’s something going on here. The rhythm section just cooks along and the trumpet and piano commentaries are wonderfully well judged. The quintet, led by Pepper, has a voice – and the voice has soul. The music they make will move you.